Five of the most powerful people in the country will be running for a single “hot seat” in Karachi. With elections looming a mere 44 days from now, political parties have pitched their best candidates in the most powerful constituencies. With Pakistan Tehreek-e-Insaf (PTI) Chief Imran Khan standing from five different seats (how insecure?) in three provinces for the National Assembly (NA), the power show for the General Election of 2018 will be unforgettable. For Karachi, though, the one NA seat that wreaked havoc and chaos in 2013 was the NA-250 (now NA-247). Being part of the NA-250 constituency myself, I remember the painful series of events that took place in the last elections. Dr Arif Alvi won the seat, alleged that there was mass rigging in the constituency. The Election Commission of Pakistan (ECP), agreeing to entertain Alvi’s whims, ordered re-polling in 43 polling stations only, of which I was unfortunately a part of. To Alvi’s dismay, however, the seat lost much of its worth when he won, because the finances and sweat to hold re-polling drowned the ‘victory’. Muttahida Qaumi Movement (MQM)’s Khushbakht Shujaat was a close second but the party boycotted the re-polling because it advocated recheck of the entire constituency and not just selected polls. Flash forward: Alvi – the sole candidate – made it to the NA seat from Karachi. Flash forward five years: we have to make a decision again. This year, however, the NA-250 has been revised under fresh delimitation to NA-247 and includes Defence and Clifton majorly. While the PTI may have won the spat with MQM in 2013, I dare to wonder whether they can achieve the same this time. To all those from the NA-247 reading this: impressed, aren’t you? In the list, it can clearly be seen that five of the most powerful people in the country will be running for a single “hot seat” in Karachi. All five of them will be hoisting and waving flags of their contribution to the country and to the society. Karachi South’s most important seat will witness a power battle. After Alvi’s hue, cry and eventual victory, the PTI treated the seat as a symbol of respect. Needless to say, Alvi will be returning (tears intact) to beat every bush until he reclaims his throne. However, the unexpected entrance was of the former president who attempted to contest the elections in 2013 also, but was disqualified instead. Musharraf now returns as a new wave of possibility, as the APML prepare for his arrival. He’s wanted in a treason case and is currently under much protection of the courts. The former military dictator that stabilised the economy but ran away after a series of avoidable mishaps will again try to charm Pakistanis to vote for him. Jibran Nasir was one of the contenders in the 2013 elections too, but the way he has groomed and polished himself in the last five years is commendable. From filing petitions in high-profile cases and being bold and honest, Nasir has won the hearts of the youth. One event for which I will respect Nasir indefinitely is when he filed the civil society application to ensure that convict Shahrukh Jatoi stayed in jail after a ‘brilliant’ bench of the Sindh High Court freed him. Nasir approached the Supreme Court and fought for the petition to be heard. Moreover, he also filed petitions in the high-profile Naqeebullah Mehsud murder case. But Karachi loves Kamal – our former mayor. Served Karachi from 2005 to 2010, Kamal has gathered support from a large majority of Sindh, with the MQM consistently hammering their own foundation in the province. Kamal even managed to reach out to the Muhajirs but with the promise of a united Sindh, where all kinds of people reside. And then comes the star of Karachi, the man whose name has been – at one point in time – plastered all over the city: Sattar. The MQM leader (not the convener) has stood by the city and the party through the most difficult times. When a certain UK personality passed comments that shook the nation, it was Sattar that saved the party from further embarrassment. However, with his never-ending strife with Khalid Maqbool Siddiqui and Amir Khan, Sattar has lost much credibility. MQM-P’s Hanif will also be contesting for the seat, strengthening MQM-P’s chances or at least the party will be able to eat away significant votes with Sattar and Hanif’s joint candidature. Former PPP MNA Memon is also contesting for the seat making him the only PPP candidate in the constituency. In many ways, this seat is a fight for many things. The questions remain who deserves it and why? Should we trust a former military dictator when we know his history? Should we consider a former mayor? Should we trust an activist-lawyer? After conducting a mini survey of my own, I learnt that the youth of Karachi are backing up the independent Nasir in his fight against struggles for justice and equality. And while he may mirror the good in society, the vote should be determined by careful analysis of all aspects of each candidate. 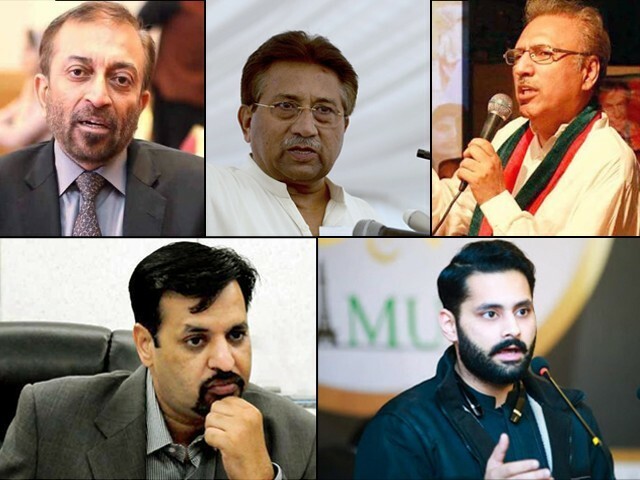 Considering that NA-247 has evolved into Karachi’s hottest electoral seat, the nominees look confident. It’s up to the voters to decide who runs the constituency this time. After all, choosing a representative for the NA is no small thing; your vote contributes to a larger representational vote in the NA. The choice is yours, but do choose wisely. / middle class residents don’t knows about Jibran Nasir.